Bring the holiday to the forefront of customers thoughts by using windows and outdoor displays to grab attention. If you are an apparel retailer, you can outfit your mannequins in masks, costumes, or holiday-themed apparel. Though the major items featured in the display should consist of your own merchandise, don’t feel as though you are strictly limited to your own inventory. Dollar and discount stores will have inexpensive masks, trick-or-treating buckets, and other staples you can use to help set the tone. If mannequins aren’t part of your regular display, you can try window decals or paint to arrange a scene. Decorative items such as pumpkins, leaves, and broomsticks will work well, too. As with any window display, the more specific you can get with the theme, the better. Telling a story will help inspire shoppers and draw customers inside in search of specific items. If you run out of an item that is in your window, switch up the display to feature slower-moving products. Once the outside of your store is holiday-ready, the next step is creating an inviting layout on the inside to welcome holiday sales. If you are featuring seasonal merchandise in your window display, make sure it is well stocked and easy to find in-store. 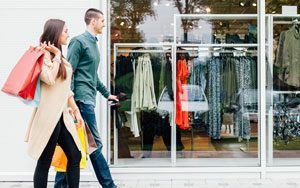 If a shopper wanders inside because an item in your window caught their eye, not having that item in stock or on display can lead to a disappointed shopper and a lost sale. Unless you run a party store, Halloween merchandise will likely be an addition to your regular products. Even if you are tight for space, make every effort to have the seasonal merchandise at the front of your store, clearly visible right when customers walk in. Counter displays are the easiest and one of the most effective options for selling through seasonal products, particularly when placed directly near the register. 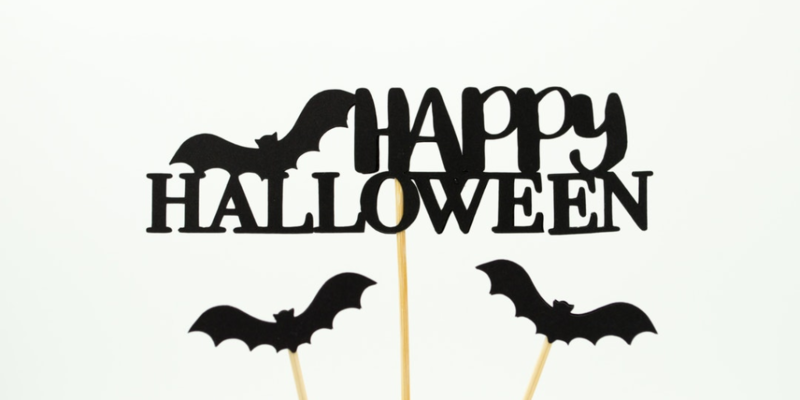 Smaller items such as limited time candy, novelty flashlights and LED lights, small costume accessories such as fangs, and costume makeup are all great options for impulse buys at the register. Nine out of ten Halloween shoppers buy candy; so make it easy for them to buy from you. 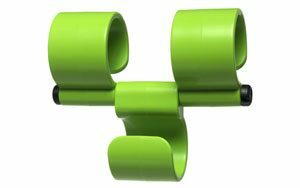 Utilize floor display solutions to end cap high-traffic aisles and on the sides of or in front of your checkout counter. For many consumers, the December holidays are a stressful time full of obligations, extended family gatherings, and lots of spending. However, there is very little stress associated with Halloween. This holiday is all about fun. As such, being creative with your marketing efforts can score your store big points in the community, and help drive killer sales. The type of plaza or neighborhood you are in will likely determine the best method for your business. 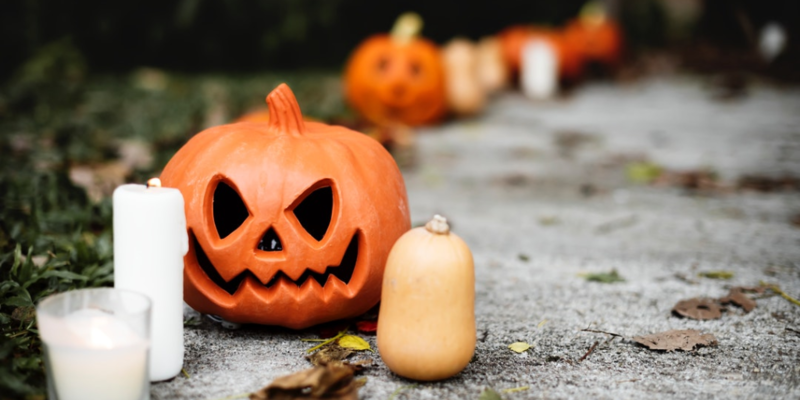 If you are surrounded by many other businesses and have a good relationship with them, you may want to consider reverse trick-or-treating. 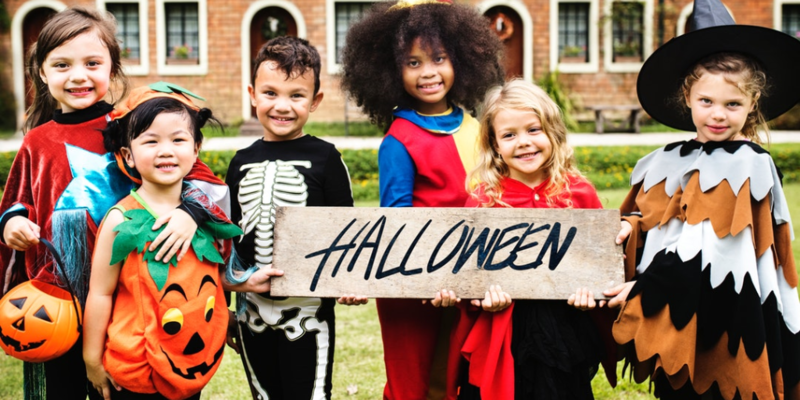 Purchase generic candy customized with your name, logo, and contact information on the packaging, and pass it around at your neighboring businesses and organizations the week of Halloween. Hopefully, some of the businesses will let you leave a bowl of the candy in their store to reach a larger audience. 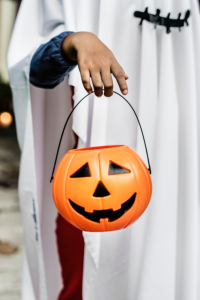 If it’s not feasible for you to go door to door, consider investing in custom Halloween themed shopping bags that can double as trick or treating bags. If it is a nicer quality bag, you could use it as an incentive as part of a “free with ‘X’ amount purchase” offer. If your town hosts any type of fall festival, pumpkin carving contest, fair, etc. offer to sponsor part of the event. 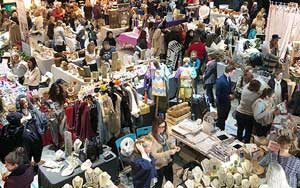 You will earn some positive publicity, and may even be able to have a vendor booth at the event as part of your sponsorship package. If your community doesn’t hold any type of annual event, consider starting your own. Costume contests, pumpkin carving, and pumpkin decorating contests are all pretty straightforward to arrange — especially if the carving is done off-site ahead of time. If you are up for the challenge of coordinating a more complicated yet rewarding event, think about a haunted house or craft night. 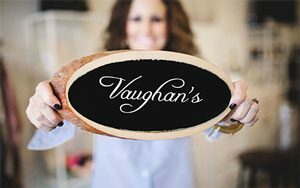 Hosting an event will bring in customers who might not stop by your store otherwise, and will also solidify your store as a Halloween destination for this year and beyond. 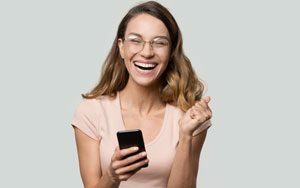 Whatever you chose, make sure to not only share on your store’s social media but also contact the local press to get as much exposure possible for your efforts. As quoted in an article from the National Retail Federation, “After a long summer, consumers are eager to embrace fall and all of the celebrations that come with it,” says NRF president and CEO Matthew Shay. Preparing your store for Halloween and boosting your sales throughout the season should be a fun experience for both you and your customers. Have Halloween music playing the weekend of the holiday, encourage employees to dress up, and don’t forget your own costume. As retailers, it’s easy to rush through Halloween in anticipation of other winter holidays. 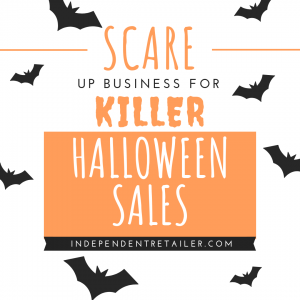 However, between candy, decorations, apparel, scary movies, costumes, and pet costumes there is an angle for every retailer to get involved and have a profitable holiday.